A 1960 Aston Martin DB4GT sold for $3.2 million at the RM Sotheby’s London classic car auction but Porsche 911s stole the show with several model records. A 1995 Porsche 911 GT2 sold for $2,476,300 – more than double the previous record – while new model records were set by a further three air-cooled Porsche 911 models. Eight cars sold for more than a million dollar each at the Lodon 2016 sale. RM Sotheby’s tenth anniversary London sale took place on 7 September 2016 at the Battersea Evolution in London, UK. RM Sotheby’s realized £21.65 million from the 86 cars on offer with a sell-through rate of 76%. Result ranged from £5,000 (1969 Fiat 500L) to £2,408,000 (1960 Aston Martin DB4GT). Including premium. Auction in pound, US $ conversion as at time of sale. As expected, the 1960 Aston Martin DB4GT that sold for £2,408,000 ($3,226,720), was the top result at the RM Sotheby’s London 2016 sale. This was also a record for a factory-bodied Aston Martin. This matching-numbers car is one of only 75 factory-built examples and one of only 45 right-hand-drive cars. The second highest result for an Aston Martin at the RM Sotheby’s London 2016 sale was £952,000 for a 1963 Aston Martin DB4 Series V Convertible. Only 75 examples were built. Further strong results were achieved for a 1961 Aston Martin DB4 Series II – £515,000 – and a 2012 Aston Marin V12 Zagato – £655,000. 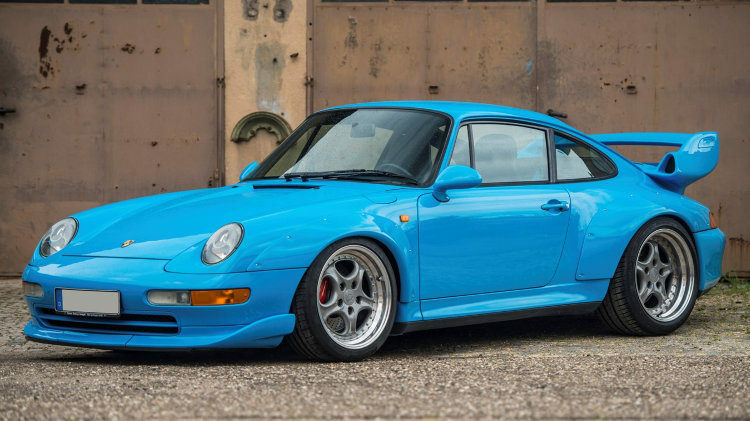 A Riviera Blue 1995 Porsche 911 GT2 sold for a new model record £1,848,000 ($2,476,330) – over a million pounds more than the previous highest price for a road-going 911 GT2. The pre-auction estimate was a more modest £750,000 – £850,000. Porsche built only 57 of the Porsche GT2 in road-going specification. This Porsche has been driven only 12,730 km and is in an original, unmodified condition. A second Porsche 911 sold for over a million dollar at RM Sotheby’s London 2016 when a 1993 Porsche 911 Turbo S Lightweight achieved £974,400 ($1,305,696) – a world record for a 964 series Porsche at auction. The pre-auction estimate was £210,000 – £250,000. This Speed Yellow Porsche was one of only 86 Turbo Lightweights built and has covered only 6,303 km. A third air-cooled 911 just missed the million-dollar mark when a 1993 Porsche 911 Carrera RS 3.8 sold for $960,500 (£716,800). This new world record for the model is nearly half a million pounds more than before and £200,000 more than the upper estimate. It is one of only 55 built and has covered 16,652 km. 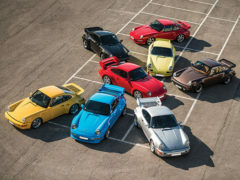 A new model record was also set by a 1995 Porsche 911 Carrera RS Clubsport at £403,200 while a 1973 Porsche 911 Carrera RS 2.7 Touring sold for £459,200. A 2005 Porsche Carrera GT failed to clear the reserve margin with a highest bid of £550,000 ($733,000). This was well above the average highest bid and results for the nearly 20 Carrera GTs offered at auction thus far in 2016. Several bidders drove up the prices for some of these Porsches making it not just a ridiculous competition to show the thickest wallets between two bidders. Although the prices of Porsches have been rising in recent years, some of these prices were way beyond expectations. These may be hard to repeat but expect 911s of all kinds to “test” or flood the market at Scottsdale and Amelia Island in 2017. A 1960 Ferrari 250 GT Cabriolet Series II sold for $1,727,000. After several of these cabriolets failed to sell early in 2016, interest seemed to have picked up again although price expectations have also been lowered a bit. A 1990 Ferrari F40 sold for $1,240,000 – within expectations and in line with recent results for the model. A 2003 Ferrari Enzo failed to sell with a highest bid of $1.4 million – well below recent results for the model. A 1939 Alfa Romeo 6C 2500 Sport Cabriolet sold for $1,276,000. A 1957 Mercedes Benz 300 SL Roadster sold for $1,050,000 – prices have been weaker at recent auctions after a boom in 2014 and 2015 with only exceptional models now selling for well in excess of a million dollar. A 1967 Lamborghini Mistral 4.0 Spyder just missed the million-dollar mark by achieving a very strong $990,000 – over $100,000 above top estimate. It is one of only 37 produced and retained its original interior. The 1956 Austin Princess that belonged to John Lennon and features in the 1972 film Imagine attracted a highest bid of £135,000 that was not accepted. RM Sotheby’s next scheduled auction is a tenth anniversary sale at Hershey in Pennsylvania on 6-7 October 2016 – a sale with numerous pre-war cars on offer including two Duesenbergs. A further 750 lots, no-reserve multi-day sale is planned for a private collection sale in Northern Italy late autumn but details have not been announced yet. No New York sale is scheduled for 2016.